Fernando Knopf was born in Buenos Aires, Argentina in 1977. His first’s connections with music began at his home in Buenos Aires, surrounded by Jazz, Classical and south-American music. He began studying Piano, Music Theory and vocal training with teachers from the Teatro Colon Symphonic Orchestra and Bass Guitar (Main Instrument) at age of 14 with Gustavo Gregorio methods in Buenos Aires, Oscar Stagnaro methods, Arie Volinez, Dr. Arnon Palty, double bassist Eli Magen, Yelsy Heredia in Madrid – Spain, Norberto Goldberg, and more. 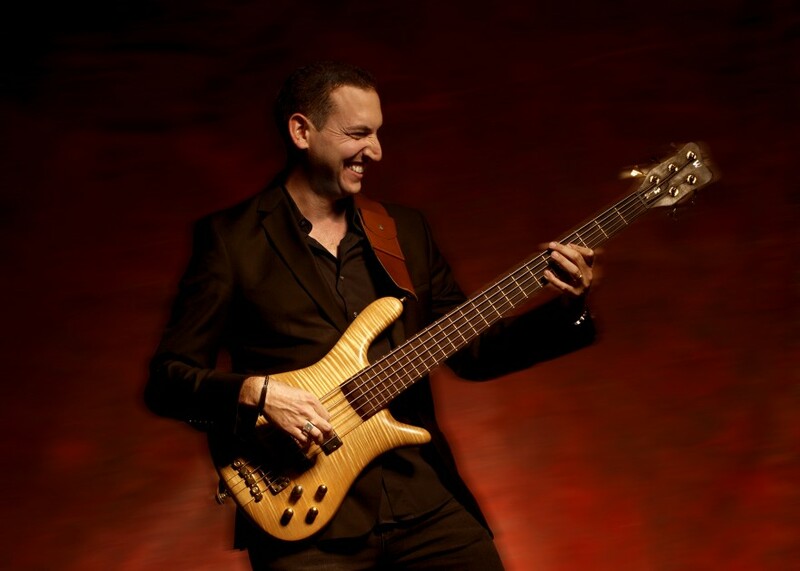 Fernando holds a B.Mus; Bachelor of Music (B.A) in Bass Guitar & Jazz performance from The Rubin Academy of Music in Jerusalem, and a Jazz Performance Major Degree from the Berklee affiliated “Rimon School of Music”. In 2000 Knopf began to perform professionally in Jazz Ensembles, Salsa Bands, Latin Groups, Orchestras and Pop/ Rock bands. Superstar Mercedes Sosa, David Broza, Pedrito Martinez(Cuba–NYC), Tito Puente Jr. (Son of the Legend), Master Percussionist and composer Samuel Torres (Colombia/ USA), Bomba Estereo (Colombia), Cuban singer/ Percussionist Igor Arias Baro, Gene Perry, Roberto Rodriguez (Cuba/ NYC), Maestro Efrain Toro (Puerto Rico), Wilson Kriminal (Panama), Jazz singer Nancy King, Singer Deborah Brown, Master Percussionist Gilad Dobrecky, Yelsy Heredia (Cuba-Spain), saxophonist Eli Degibri, Pianist Alon Yavnai, Joca Perpignan (Brazil), Trombonist Avi Lebovich, Zig Zag (NYC) , Missa Criolla with Ensamble Latino Americano, The Tel Aviv Jazz Big Band, The Israel Chamber Orchestra, The Israel Philharmonic Orchestra(IPO), Bandonionist Eduardo Abramson, Oud Player and Violinist Yair Dallal, Bustan Sefaradi and many more. Also performed with Israeli Top singers David Broza, Shlomo Idov, Yoram Gaon, Mira Awad, Din Din Aviv and Marina Maximilian. In November 2005 Fernando was granted and distinguished in Buenos Aires, Argentina with the 2005 “Jewish Cultural Achievement Award”. On July 2006 Knopf was part of a special interview withMaestro Lalo Schifrin. In 2006 Fernando released worldwide his Debut CD, “Latin Jazz Band”, with the collaboration of distinguished Guest Artists. The Group performed extensively for 2 years. In 2007 Mr. Knopf was part of the Worldwide Hard Salsa CD compilation by Latin Soul Records, NYC, USA. In 2009 Fernando formed his new Quintet and released a Live Recording CD Quinteto, recorded during a Tour of Concerts abroad. Festival, Rabin Square, International Cruises around Europe, and many more. Mr. Knopf is the Founder and Musical Director of Latin Power Productions. Fernando is also an acomplished Music Teacher & Educator in Israel with more than ten years of experience in Music Education, Ensembles, Conducting, Arranging and teaching private Lessons. Knopf teaches since 2008 at the “Rimon School of Music”, directs the Latin Jazz/Salsa Orchestra, Latin American Music Courses, Bass Lessons, Theory, Ensembles and is the Musical & Artistic Director of the Summer Workshops Week in Rimon. He was also the Artistic Director of the Jam Sessions at the Red Sea Jazz Festival 2011. Lately Fernando is also performing & producing with a New International Project “The Jewish Label Band”, with Idan David, Ofer ben Zion & Erez Keynan, and had performed with big success last March 2015 @ Johannessburg, South Africa, at the Israel Expo 2015for the Jewish Federation of SA, and the Jewish Agency for Israel. Fernando Knopf endorses Warwick Basses.